Olympic Weightlifting, Periodised Strength Programs, Gymnastics Skill Development and Conditioning Workouts with the Barbell. The goal in our CrossFit classes is to teach you how to move better not only with a barbell for Olympic weightlifting but also using just your body so that we can then layer in certain gymnastics skills to give you a complete training regime. So what sets us apart from all the other CrossFit gyms in Wellington? Keep reading to learn more about us and our training philosophy. I started my CrossFit journey way back in 2009 by affiliating and becoming then, only the 7th CrossFit gym in the whole of New Zealand. We were called MyCrossFit and I trained people at a park by Victoria University. I chose that spot because it had pull up bars. That was summer in Wellington but sure enough winter came along and we needed a place to get out of the wind and rain. Luckily I knew a mate with some space to share so we moved in to the back of Mark's (Macca) boxing gym on Tory St. It wasn't long till we out grew that spot and running "classes" in the parking lot of Harvey Normans didn't quite cut it so I leased a space on Hania St in Mt Victoria. It was back in the day when I had to explain what CrossFit was. Hell, I didn't even know what CrossFit was but that didn't stop people joining and pretty soon our community was growing. Skip forward two years and we had out grown that space (and the wooden floors, not great for CrossFit workouts) too. So I leased a space more than 3x the size, changed the name to CrossFit Central Wellington and we grew into the new space and kept on growing till we had a community almost 200 strong. In 2014 I sold CrossFit Central Wellington and 12 months later in October of 2015, opened the roller door on Urban Fitness. Time really does fly. While owning CCW I came up with the idea for a little CrossFit competition, we called it The Wellington Cup. Little might be a slight understatement but we ran it for 3 years and I got the pleasure of meeting CrossFit legends such as Lindsey Valenzuela, Rob Forte, Lucas Parker, Tia-Claire Toomey, Kara Webb, Lauren Fisher and our very own Ruth Anderson Horrell. Not that I like to name drop or anything. Olympic weightlifting is also a passion of mine and not only did we host the 2014 OWNZ North Island Champs, we were successful at bidding for and hosting the 2015 OWNZ Nationals. My own personal CrossFit sporting achievements include finishing 7th in the world ranking of the Masters 40-44 category in the 2014 Open and narrowly missing out on making the Games as a Masters athlete in the preceding online qualifiers. That same year I led a team of 3 guys and 3 girls to our very first Regionals and after tasting that, we have been working hard each year to make history repeat itself. No easy task I can tell you, not nowadays anyway, but we will never stop trying. I could go on and on because there is SO much history there to tell but, I won't because you didn't come here to read about me. However if you DID just get through all that, then you will know, that while we only opened in October 2015 we are FAR from new to this CrossFit thing. Experience in this game counts for A LOT so please, give that some consideration when you are looking for a box. Our Head Coach, Michael Mikaere is hands down one of the most driven, intelligent and passionate CrossFit coaches I have ever had the pleasure of working with. 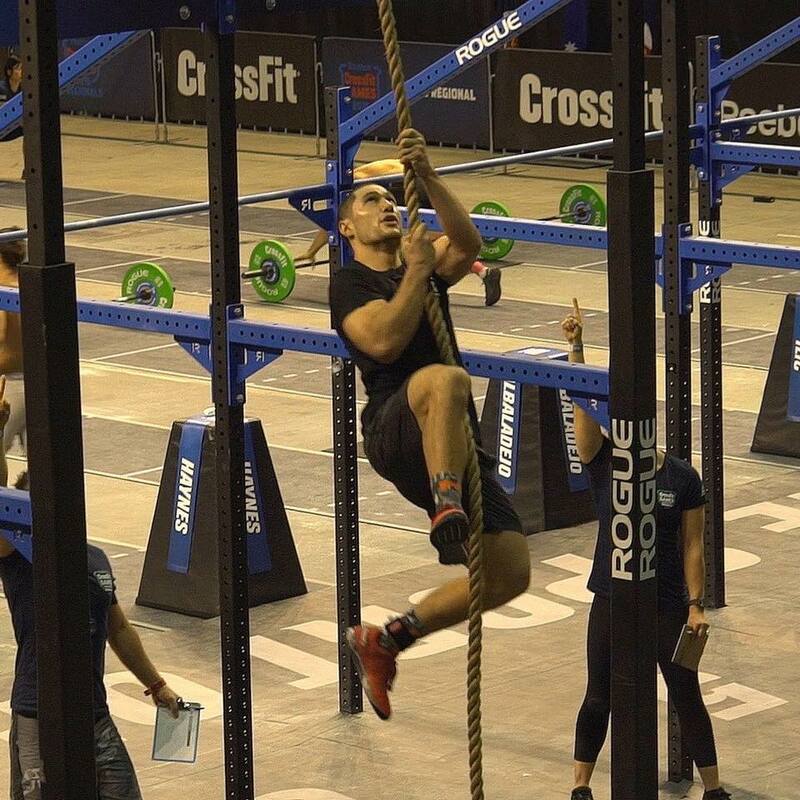 Michael (or Magic as we call him) is also a THREE TIME CrossFit Regionals competitor while his goal of a 4th Regionals (if not further) is looking on the cards considering the way he has been training. CrossFit is our passion. We live it, breathe it and are skilled practitioners in coaching and competing in it. CrossFit is our lives, it's in our blood, it's our community and it's our profession. We have so many years of CrossFit experience that if we were at University we'd already have our Masters degree and half way towards our PhD! If you are looking for a CrossFit gym in Wellington with some of the most experienced coaches in NZ, quality equipment, an intimate learning environment and an awesome community of like minded humans who are just there to work fu*ken hard - then you found it. We cap our CrossFit classes at 14 people. It's our belief that every member who trains with us deserves equal amounts of coaching and attention in order for them to progress and develop as an athlete. We encourage new members to experience our program. If you are brand new to Olympic weightlifting then you may need to do a few one on one sessions before joining the classes so that YOU feel more comfortable and WE know that you're safe. We encourage our members to use the gym outside of class. We subscribe to the CrossFit Invictus methodology. Programming is delivered to you in 6-week blocks combing Olympic weightlifting, gymnastics skills and conditioning. 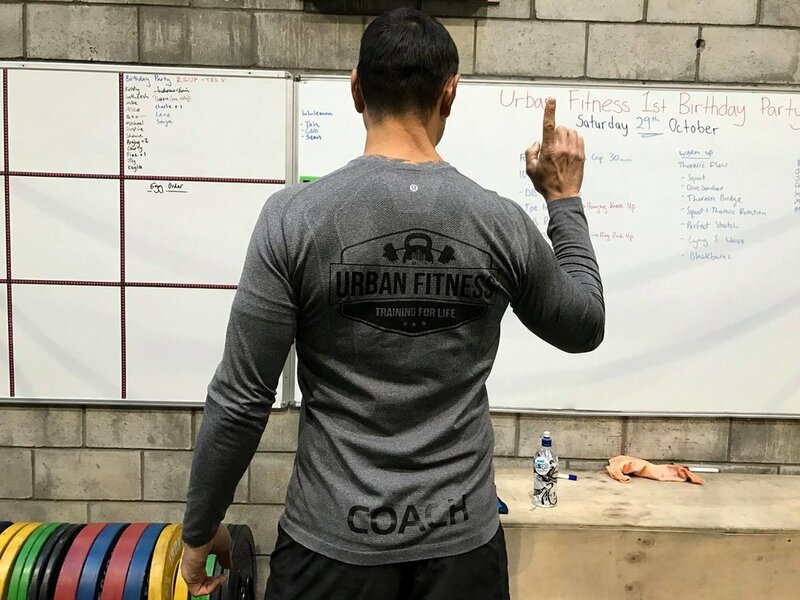 We are proudly known for being skill and technique focused here at Urban Fitness. The coaching and programming reflects this. We ask everyone to commit to an initial 3-months of training. For us to get to know you as an athlete and for you to appreciate our training methodology. The amount of resources it takes to integrate new athletes is considerable. While we love having new people join us, we love even more the ones that stick around. Seriously, would YOU marry someone you’ve just met? Nothing. It’s Free - Yeah right. All our memberships are paid in advance. Please read our full terms and conditions of membership. If you have any questions or wish to contact Mike directly, either call 021 132 2756 or contact via email. > Membership fees are subject to change. > All initial memberships are 3-month contracts. > After your initial 3-months, cancelling memberships require 1-month notice via email. > There will be no refund of payments upon failure to give adequate notice of cancellation. > Urban Fitness reserves the right to refuse or cancel any membership. > Suspensions are permitted if longer that 3 consecutive weeks. > Urban Fitness reserves the right to close for any Public Holiday, Christmas and Easter Holidays. Next to Cafe Lafarre, directly opposite More Willsons.